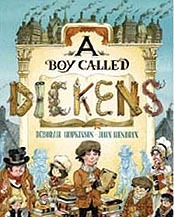 The tale of twelve-year-old Charles Dickens who, despite poverty and long hours of factory work, still has time to discover and share the stories of other residents of 1824 London. Readers will be drawn into the winding streets of London, where they will learn how Dickens got the inspiration for many of his characters. Includes author's note about Dickens' life and some of the books he wrote. Hardcover Picture Book. Ages 4 - 7. Autographed bookplate by Deborah Hopkinson. 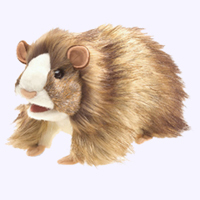 Guinea Pig puppet is the best starter pet ever! Also known as a cavi, this furry friend has movable mouth and legs. Happiest when cage-free and cradled in your hands, share the puppet antics with your animal loving pals. Hand Puppet is 10" long. 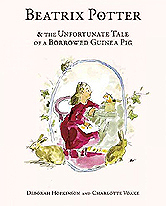 This story stars a young Beatrix Potter, creator of The Tale of Peter Rabbit and many other classic children's books. Master of the historical fiction picture book, Deborah Hopkinson takes readers back to Victorian England and the home of budding young artist and animal lover Beatrix Potter. When Beatrix brings home her neighbor's pet guinea pig so that she can practice painting it, well . . . it dies! Now what? Written in the form of a "picture letter", this charming, hilarious, and mostly true tale is a wonderful introduction to a beloved author/illustrator and perfect for Common Core curriculums. 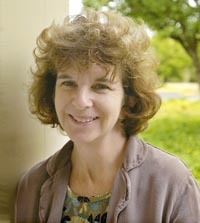 An author's note includes photographs and more information about Beatrix Potter's life and work. Hardcover Picture Book with dedication page. All Ages. 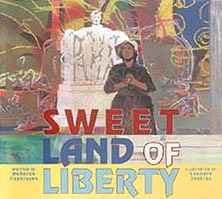 On Easter Sunday 1939, Marian Anderson performed at the foot of the Lincoln Memorial in front of a crown of over 75,000 people. The person largely responsible for putting her there was a white man, Oscar Chapman, Assistant Secretary of the Interior under President Frankllin Delano Roosevelt. Deborah Hopkinson's inspiring text, accompanied by Leonard Jenkins's remarkable paintings, reminds us that things that happen to us as children can change our lives in unexpected ways. Sometimes we go on to change other lives. And every once in a while, we might even change history. Hardcover Picture Book. Ages 4 - 8. Sal sure can sing. But she can also catch a fish with her bare hands, ride a wild bronc, and drive a stagecoach. And she's nobody's fool. 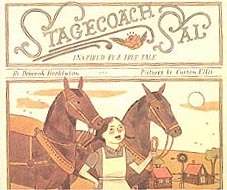 When Sal makes her first stagecoach journey alone to deliver mail, her ma is nervous. Will Sal be able to brave the wild frontier alone? And what about Poetic Pete, the wiliest stagecoach robber in the West? Sal may have some unexpected tricks up her sleeve. Hardcover Picture Book. Ages 4 - 7. When Papa decides to pull up roots and move from Iowa to Oregon, he can't bear to leave his precious apple trees behind. Or his peaches, plums, grapes, cherries, and pears. Oh, and he takes his family along too. But the trail is cruel -- first there's a river to cross that's wider than Texas...and then there are hailstones as big as plums...and there's even a drought, sure to crisp the cherries. Those poor pippins! 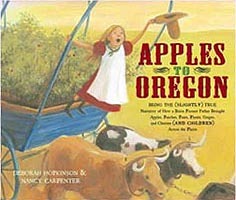 Luckily Delicious (the nonedible apple of Daddy's eye) is strong -- as young 'uns raised on apples are -- and won't let anything stop her father's darling saps from tasting the sweet Oregon soil. Hardcover Picture Book. Ages 6 - 7. In the hot, mean summer of 1933, a penny is enough to buy caramels or red hots or peppermint sticks or licorice strings. Is it enough to buy Miss Elsie's Strawberry Farm? There's only one way to find out. 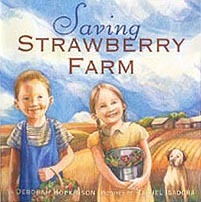 Davey takes a deep breath and shouts, "One penny for Strawberry Farm!" Set in the Great Depression, Rachel Isadora's illustrations brings Davey's Midwestern town to life as friends and neighbors plan to save the farm the only way they can --with a secret penny auction! Hardcover Picture Book. Ages 4 & up.